Yeah! Android Apps for your Smartphone and Tablet available for free now! Well, you may have already installed several free and premium apps on your Android phone or tablet. But, it is really hard to find some awesome and best android apps for free. As different people like to use different type apps for personal and business purpose. So you must identify those apps that’s been effective and can help to increase your productivity. So after a hand research on several free Android Apps, we found some best free Android Apps that you can use to make your daily life easy and comfortable. 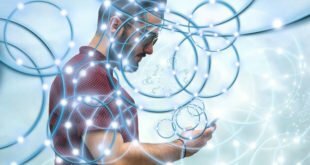 These apps will help you to complete your daily business/personal tasks easily, increase your device performance, increase user experience and much more. Let’s check the list and find your favorite android apps now. With a large screen size smartphone or tablet, you can easily create or edit Microsoft Files for business or personal purpose. The OfficeSuite + PDF Editor is the best free android apps that you can use for this purpose. The app comes with all latest features of Microsoft Office to view, create or edit Microsoft Word, Excel, PowerPoint documents. The free version also comes with built-in PDF editing option to view or edit pdf files from your Android device. Some major features of this app are, create/edit MS Office file header, footer, page number, create slideshow using PowerPoint, Digital sign on PDF file and much more. 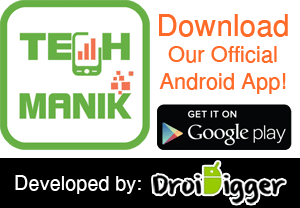 This is an essential android app for business and corporate persons. Your device is expensive and most important for you. So you must ensure the security of your device from virus and malwares. The CM Security Antivirus is one of the top rated and most downloaded antivirus app for Android that comes with several advanced features. 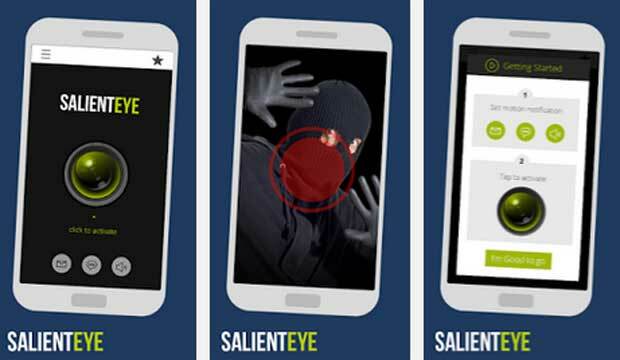 The advance security system will keep your device safe from virus, malware and spam apps. The app also comes with app lock features to keep your personal documents safe from strangers. There is an advanced option available to prevent your kids from buying any premium apps. The advance cloud and local antivirus engine will scan your device regularly. 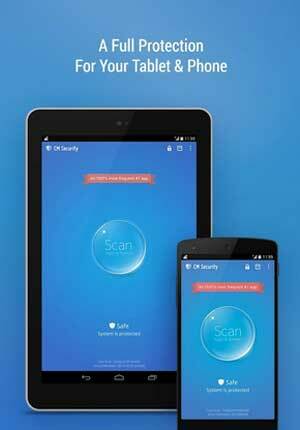 The scan takes 500% less time than the traditional antivirus app. So it will not effect on your device performance. 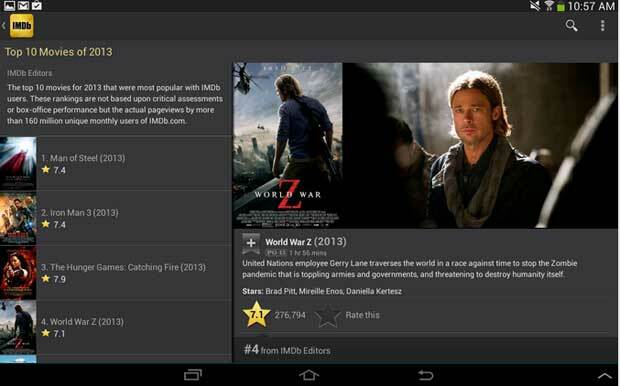 Love to watch movies, videos and TV episode from your Android Tablet or phone? Want to enjoy your favorite movies and TV shows for free? Then the IMDb Movies & TV is the ideal one for you. This is one of the best and most popular free movie app for Android that comes with the largest collection of movies, videos and TV shows. Just download this app on your Android device and enjoy more than 2 million movies. They also update their collections regularly. With this app, you can enjoy new movie trailers, user review on movies, TV listing, Local movie show time and much more. The app available in more than 5 different languages. 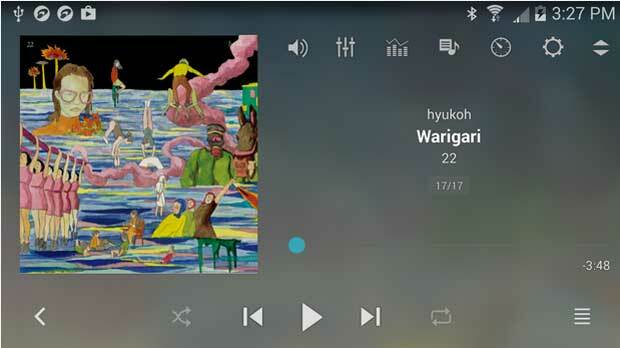 Not satisfied with your device built-in Music player? Want something different with cool sound effects and visualization effects? Then the jetAudio Music Player is the ideal solution for you. This is one of the most popular MP3 Music player app that comes with 10 different graphic equalizer and sound effects. The app has 32 equalizer presets for high quality sound and a better user experience. There are several sound control systems and theme available in this app. Browse music by Genre, Artist or folder and create your favorite song list easily. We need to browse the web from our Android smartphone for business or personal purpose. A high speed and functional browser can make your browsing tasks easy and comfortable. The Chrome Browser is one of them that comes with various features to browse the quickly and easily. 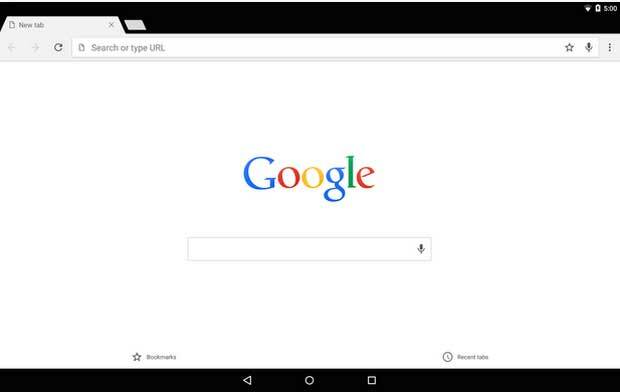 Although most of the Android device comes with a built-in Chrome Browser, but still now some device comes with the old version of this browsing app. So you must update this browser to get faster browsing experience. You can also sync your browsing data, bookmark, password etc. with your Google Account using this browser. Facebook is one of the most popular social networking sites. People love to use Facebook to communicate with each other, share their passion, images, videos and much more. This is also a one of the largest online marketing and business platform also. So the Facebook comes with their official Android app so that you can easily browse your Facebook account from your Smartphone or tablet. There are two different versions of this available; Facebook and Facebook Lite. Using this app, you can easily check your Facebook Wall, share post, image or video, get notification and much more. Want to say hello or talk to your friends or family for free? Well, Skype is here. 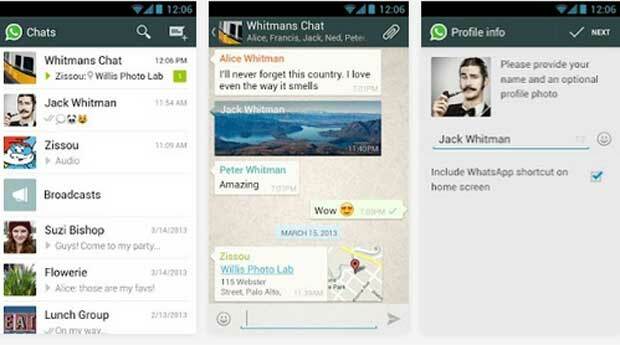 One of the leading messenger apps for Android that comes with several attractive features. You can chat with your friends, make voice or video call, and send files, images or documents using this app. Over 250 million people use Skype to communicate with their friends and family. So you can also easily find your friends on Skype. You can also send voice or video message using this app. Skype also allows to call any mobile or landline number using Skype credit and low calling rate. We always need to send or receive emails for personal or business purpose. And most of the people like to use a Gmail account from Google. So they have an official app to make it easy send or receive emails from your Android phone or tablet. You can also configure other email clients and send/receive emails using this app. 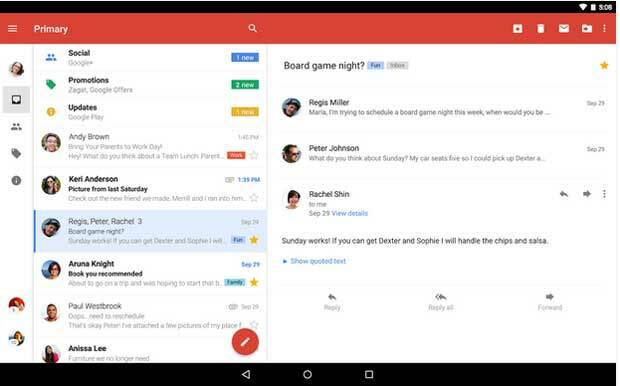 The Gmail comes with an organized inbox layout for important, social, promotional or spam mails. The advance spam filtering option to help keep your mail inbox clean. You will get 15GB free space to keep your essential and important mails safe and secure. Your android device keyboard layout not user friendly? Not perfect to type frequently? Well, change your device keyboard with the SwiftKey Keyboard. 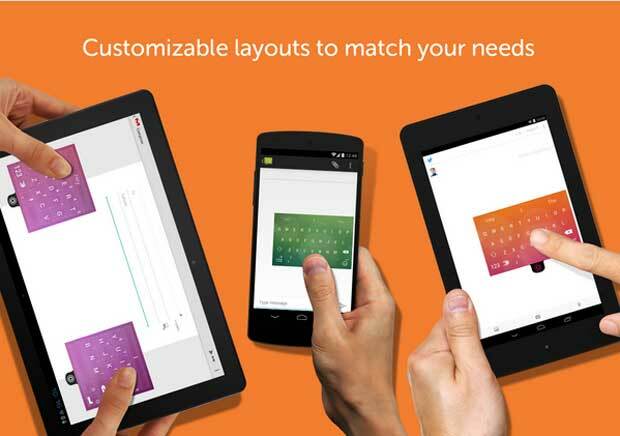 This is one of the top downloaded, top rated and most popular Android Keyboard App. The app comes with several feature to type frequently and increase your productivity. We need to type frequently to write mail or chat with our friends. The SwiftKey comes with advance writing system and several user friendly keyboard layouts. You can Type faster with A.I.-powered predictions using this app. There are also tons of emoji available in this app. Want a functional calendar app for your Android device? 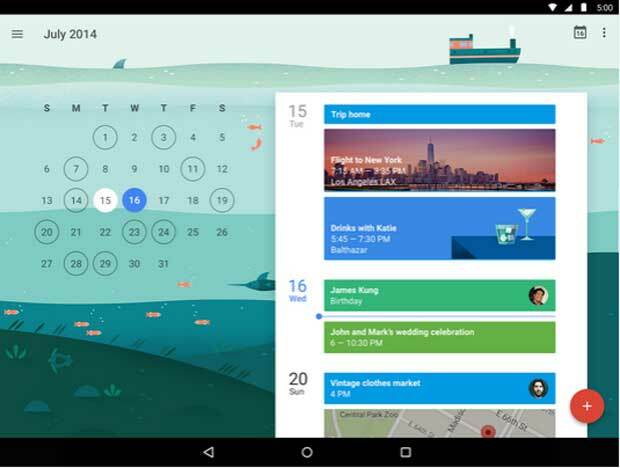 The Google Calendar app comes with various functions to save your event info, memo and note. Create to-do list and set reminder easily. The app comes with several viewing option. You can easily sync event information, flight information or meeting info from your Gmail account using this calendar app. We know that Facebook is one of the largest Social Networking sites used by millions of people in the World. 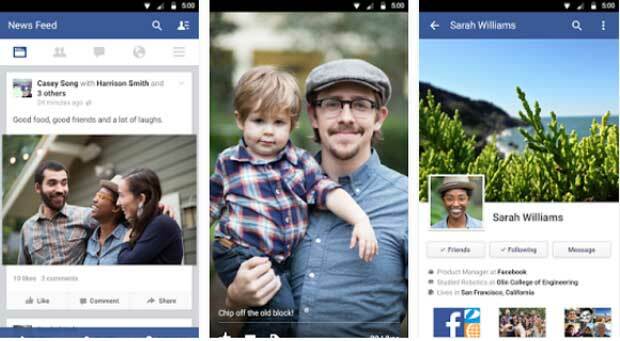 You can easily stay connected with your friends, colleagues and family members using Facebook. And the Facebook Messenger also makes it easy. You can send text messages, chat with live voice or video call using this messenger app. The app also comes with various attractive features. You can easily sync your phone contact with Facebook Messenger and send/receive messages directly using this app. The app also allows sending files, documents, images or videos. You can get notification when someone sends text messages or any files. Some other features are; group chat, built-in search option, location sharing and turn-on or off notification etc. Want to organize and keep secure your secret information and passwords? Then the aWallet Password Manager is the ideal password manager app for you. 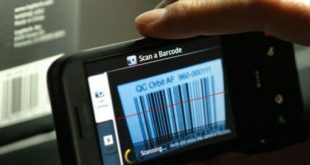 The app comes with high security features to keep your credit card, bank, e-banking information secure. You can easily save your web accounts with password and keep them organized using this app. The free version comes with no ads and you can create, edit or view information by categories. The built-in search option helps to find specific information or account passwords quickly. As all data are encrypted with this app, so there is no chance to get hacked or lose your data. 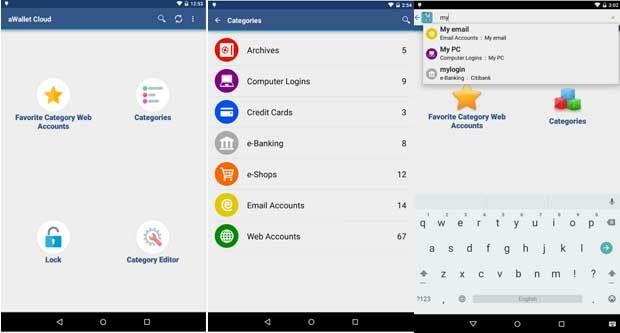 The ES File Explorer File Manager is one of the top downloaded and most popular File Manager app for android device. The app comes with various features to keep your device files organized and keep your device clean. With the built-in multimedia viewer, you can see images, watch movies/videos and listen music. Manage your device files and folders as like your desktop. Cut, copy, paste or movie files from one folder to another easily. The remote file manager feature helps to manage your device files from desktop or Laptop. Uninstall or take backup your device apps and clean junk files or apps easily. Fed-up with unwanted calls or SMS? Looking for a best and free call blocking apps for your Android device? 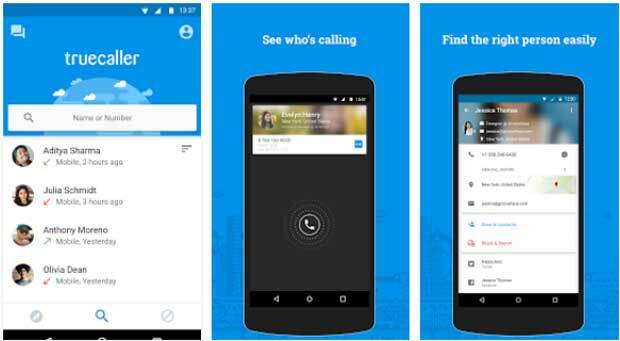 Then the Truecaller is the ideal one for you that comes with various features to block unknown and unwanted calls and SMS. You can also see who calling you although you don’t have their number in the phonebook. Block unwanted calls from telemarketers or unknown number and search for the information of any number owner. Copy number from anywhere and save it on your phonebook. Built-in search option to search block or phonebook number. The Dictionary.com is one of the most popular and top downloaded dictionary app for Android. This dictionary comes with more than 2,000,000 definitions and synonyms. So, if you’re looking for a best dictionary app for your Android device, then this is the best one. 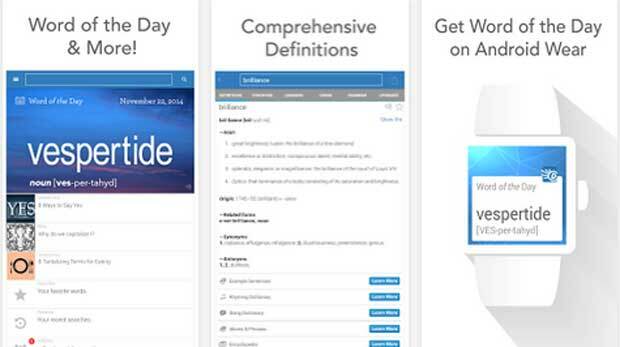 With the built-in search option, easily find your desirable words meaning or synonyms. The advance voice search option also helps to get words quickly. The app also has Audio pronunciation feature or learn English easily. The built-in translator helps to translate words or sentence in more than 30 different languages. Want to keep yourself fit and healthy? Well, an android app can help to track your health report and keep yourself healthy. 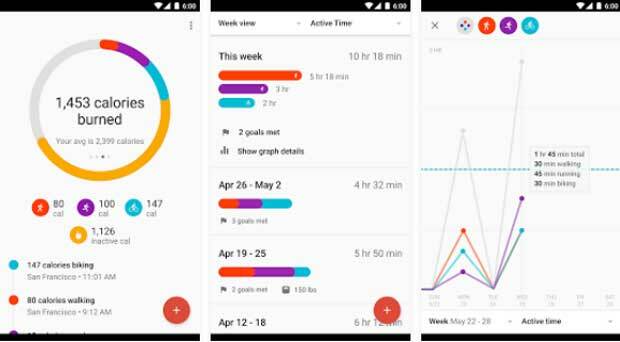 The Google Fit is one of the most popular and best free android apps in the health & the fitness category at Google Play Store. The app comes with several features to track your daily activities like walking, cycling etc. 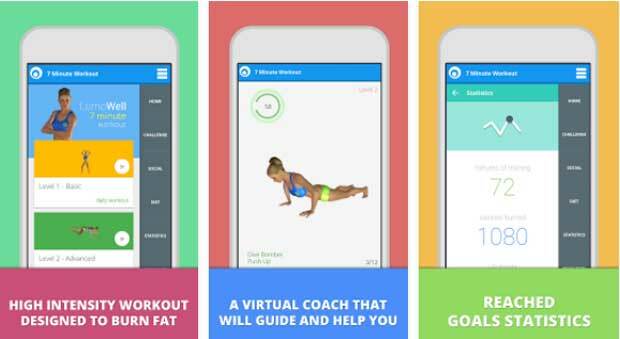 You can set your fitness goal and reach it easily with the help of this app. The Period Tracker is an essential health app for Women that helps to track their period easily. 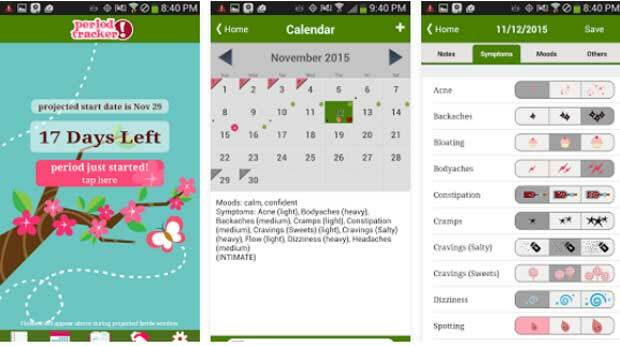 This app will automatically calculate your period time based on past 3 months menstrual cycles. The simple monthly viewable calendar will show your current and future period time. Want to vanish some extra weight or extra fat? Then the 7 Minute Workout is the best one that comes with various features to lose your extra weight. You don’t need to spend huge time in a day, just a 7 minute workout per day will help to lose some extra weight or burn some extra fat. This weight loss app specially designed for busy people so that they can easily maintain their daily workout activities. Want to convert your Android device as a home security device? Well, the SalientEye Home Security Alarm can help you to do this. The app can automatically detect any motion through your device camera and warn through alarm system. There is also an option to capture motion images and send it directly to your email. Love to enjoy your holiday in abroad? Need to travel randomly for business purpose? Well, the Skyscanner can help you to get the latest and updated information about millions of flights. 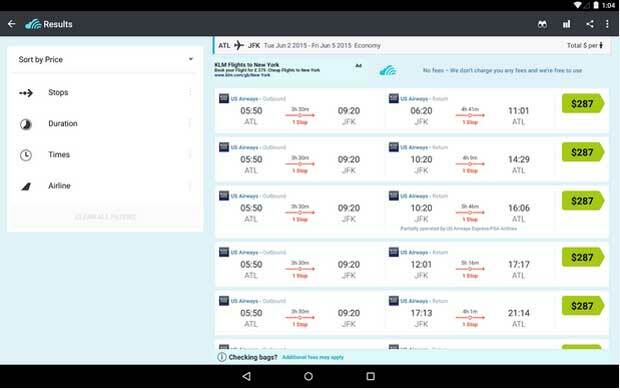 This app also helps to compare flights according to price, benefits and other conditions. So you can easily book the best flight for your next trip and save some money & time. Looking for a best weather app for your Android device? The Weather & Clock Widget is one the most popular and top downloaded weather app that comes with a built-in clock widget. This app will automatically search your address and show weather status. You can set multiple location to see weather information and local time. The app also comes with built-in map to find any location easily. 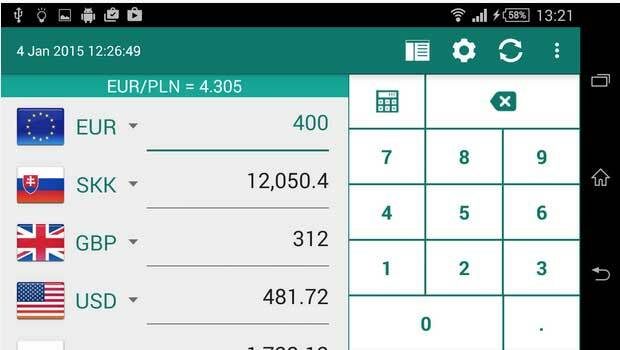 The Currency converter is one of the most important and essential android apps for business owners, corporate person and travelers. With the help of this app, you can easily calculate currency exchange rate with real-time currency rate. The unique feature of this app is, you can convert up to 15 currencies at a time. 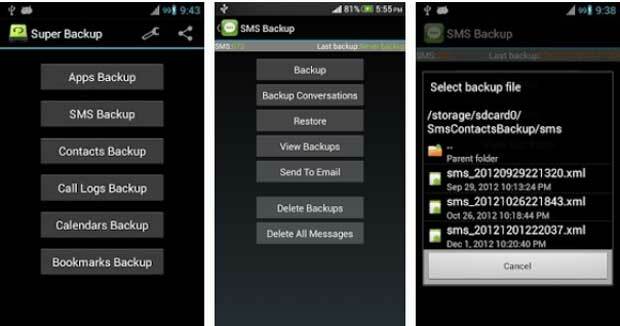 The Super Backup is a top rated and most downloaded backup app for Android. The app mostly popular for taking Contacts and SMS backup. You can also take backup all of the apps with download links installed on your Android device. The backup location setting help to save backup files on your device SD card. Love to Cook? Has no idea what to cook for yourself or your guest? Well, the Allrecipes Dinner Spinner is here to solve your problem. This is one of the best cooking app that comes with huge cooking recipes. There are hundreds of recipes available to make your dinner easily and quickly. As there are thousands of users of this app add new recipe daily with detailed instruction, so you will enjoy new food with new taste every day. 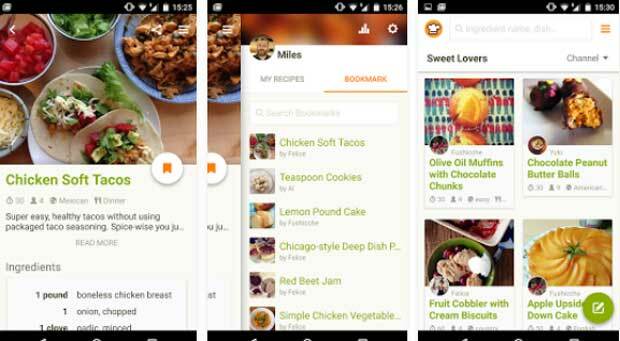 The Cookpad is another most popular Android recipe app that comes with more than 150,000 recipes. With the detailed instruction and images, you can easily follow these recipes to make delicious food. You can also share your own recipe with the online World using this recipe app. Love to take Selfies with your Android device camera? Want make it colorful? Then the Candy Camera is the ideal one for you. The app comes with several functions and features to take Selfie easily. You can easily change image color, change image effect or edit your own image with basic image editing features. The silent mood feature helps to take pictures anytime and anywhere. The Retrica is another great option for Selfie loving people. 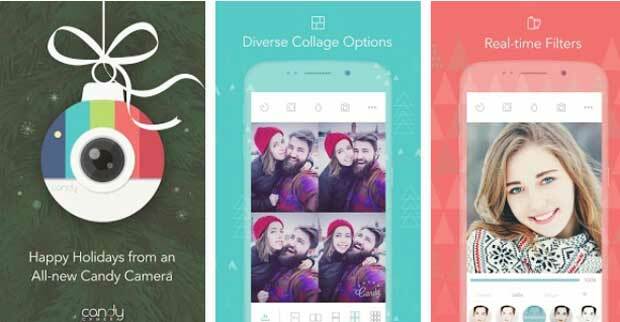 Like Candy Camera, the app also comes with different live image effects, editing and social sharing features. 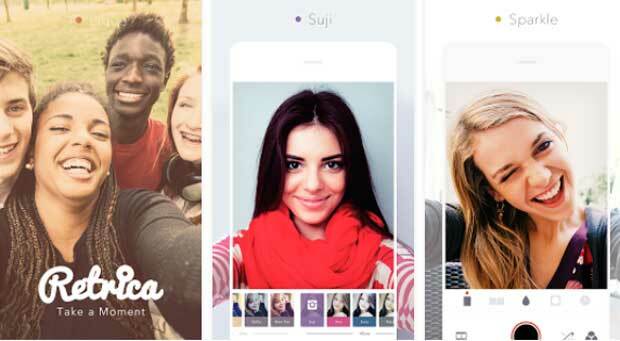 The Guardian mentions Retrica on their ‘Best 20 Android Apps’ list. The app has more than 100 live filter effects and layouts. You can also share your Selfie directly to the social media sites using this Selfie camera app. Gaana is the ideal Android app for music loving persona. The app comes with over 10 million Bollywood and Regional songs. You can access and enjoy your favorite songs for free using the app. The app also let’s to create and save your own music playlist to browse your favorite music quickly. There are thousands of Hindi, English, Bengali, Tamil, Telegu, Marathi, Punjabi and classic songs available on their database. Almost all Android devices come with a built-in video player. But most of them comes with only some basic video playing functions. The MX Player is the best solution for the people who looking for a functional video playing app with various attractive features. 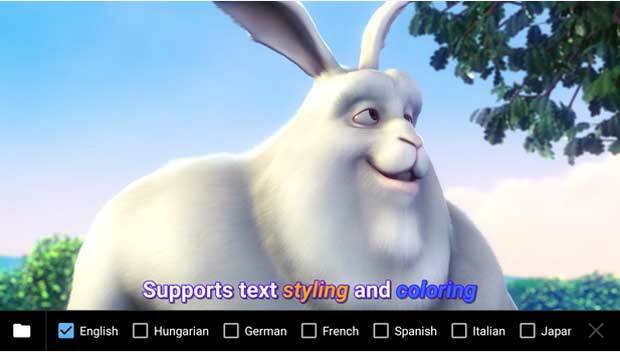 With the Hardware acceleration and multi-core decoding features of this app, you can play movies or videos smoothly and your device works 70% faster. 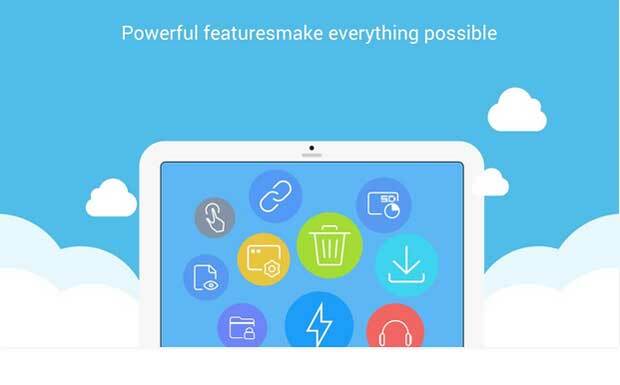 The Smart Launcher 3 is a simple and lightweight app launcher for Android. This app is perfect to organize your device apps easily and access your favorite apps quickly. As the app use low resource and battery power, so there is nothing to worry about your device speed. Save your favorite and essential apps by category and browse them easily. There are several themes and color option to make your device colorful. Your kids love to play games or watch movies with your smartphone or tablet? Well, you can your smartphone or tablet for your kids’ education purpose. There are hundreds of Android apps available in the market for kids and Nursery Rhymes For Kids is the best one of them. 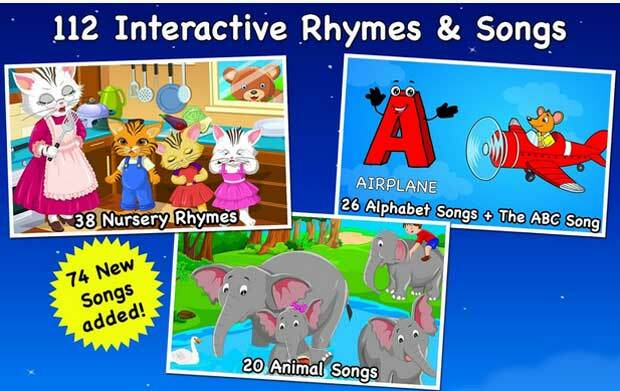 The app has over 74 songs to teach your kids ABCs, Animals, Fruits, Vehicles, Math and more. There are also several rhymes available in this app with popular songs and cool animations. 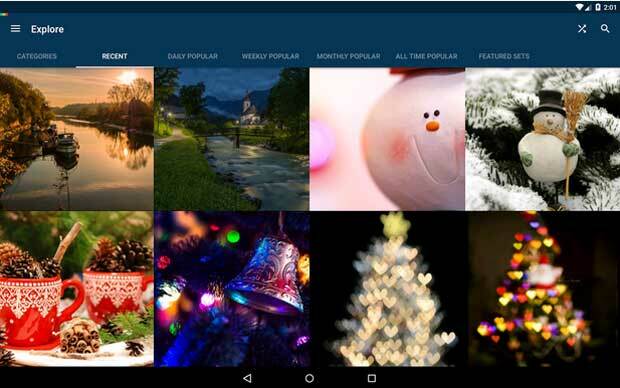 The Backgrounds HD comes with over 8 thousand images to make your android device screen beautiful. The lightweight and low power consuming app is perfect to decorate your device screen. You can choose images from a specific category or randomly. As they update their database regularly, so you will get more free images regularly. Twitter is one of the most popular social networking sites that we use for personal and business purpose. Now, you can stay connected with your Twitter Account using the Wi-Fi. You can make tweets, send direct messages, follow or un-follow others, share images or videos using this official twitter app. You may need to protect your personal images, videos or any documents from strangers and an App locker can help you to do this. The Wi-Fi is one of the most popular App lockers for Android that you can use for free. 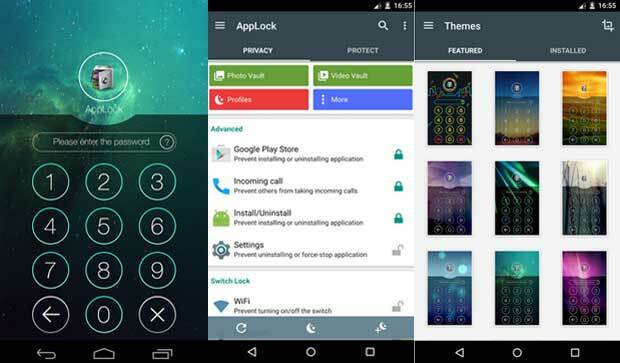 You can create photo vault, video vault and also lock any apps or documents using this locker app. There are also several advance features available to lock time, places, device settings, Wi-Fi connection and Bluetooth connection on your Android device. 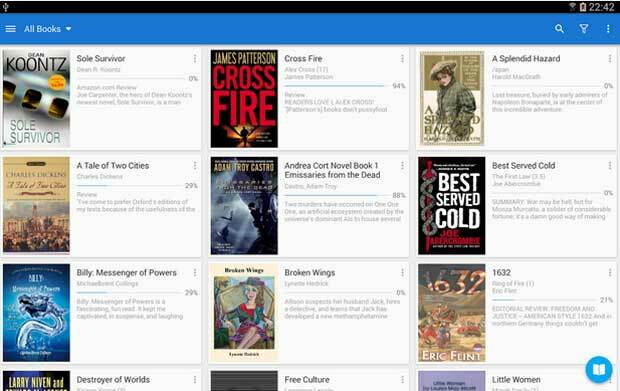 Most of the people love to read eBooks on their Android phone and tablet. Some device comes with a built-in eBook reader app, but you can consider the Moon+ Reader app for more functions and features. The app support epub, pdf, mobi, chm, cbr, cbz, umd, fb2, txt, html, rar, zip or OPDS formats. There is also a premium version of this app available with more features. WhatsApp Messenger is another most popular messenger app for android that comes with unlimited free calls and SMS features. You can use this app free for 1 year and after that, you need to subscribe for their pro version for 0.99 USD per year. 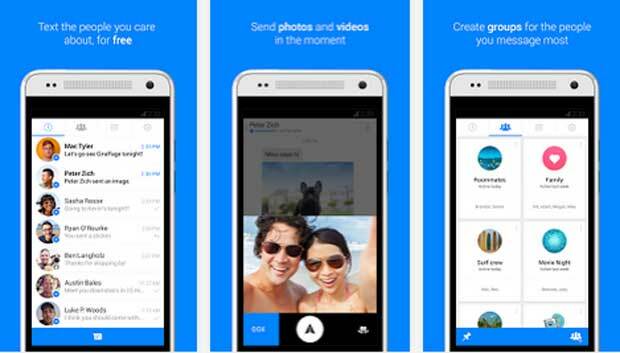 With this messenger app, you can send files, images and videos to your friends and family. Use 3G, 4G, 2G or Wi-Fi internet connection to connect to your WhatsApp account and integrate your smartphone or tablet contacts easily. For easy connectivity option, use your mobile number to login your WhatsApp account instead of any user name or PIN. 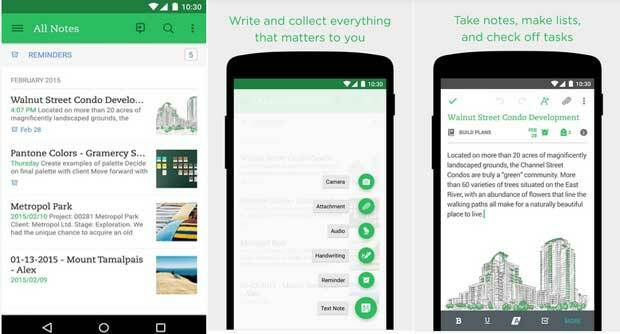 The Evernote is one of the most popular and best free android apps that is used by more 100 million people for their business and personal purpose. There are several features available in this app to do your tasks easily and increase your productivity. You can easily create notes, docs, checklist, research etc. and share with other people. The app also lets to sync your data with all of your devices like smartphone, tablet, PC etc. Love to read magazine, books and web contents? The Flipboard is the best solution for you to collect all of your favorite online magazine, news, books and web articles. You can easily save your favorite contents using this app and can read anytime, anywhere. Pocket is similar to Flipboard that also helps to save and discover your favorite stories, news and magazine. The app comes with unlimited storage for free to save your favorite articles and videos. You can save articles or videos from anywhere and can sync with all of your devices easily. 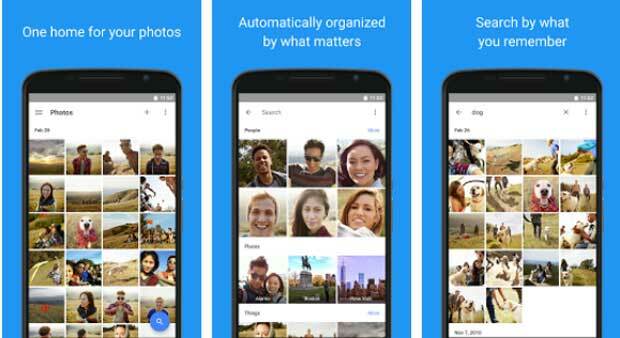 The Google Photos is one of the best apps to save and organize your favorite images and videos. You can sync and share images and videos using this app. The built-in advance search option helps to find images or video easily and quickly. Unlimited free storage available in this app to save high quality image and videos. Looking for a news app to know latest news from the world? 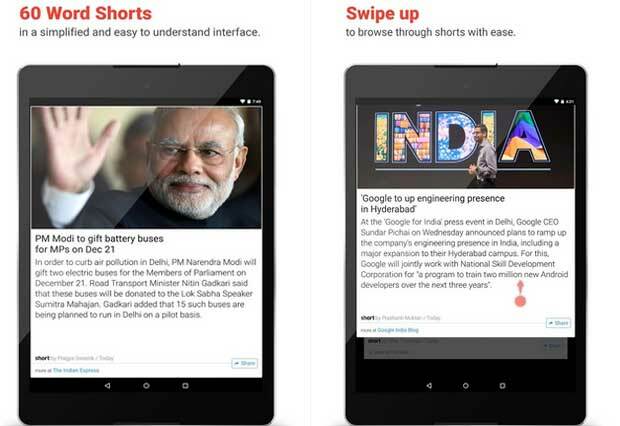 Then the Inshorts is the ideal one that comes with short news from various national and international sources. You will get the latest updates in less than 60 words. Easily customize to see what type of news you want. The app available in English and Hindi. 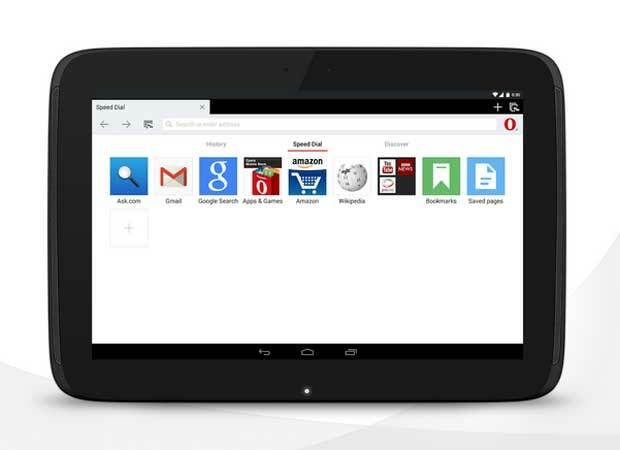 Opera Mini is another most popular and best web browser app that comes with faster web browsing features. The lightweight web browsing app can easily download data fast and works with any android device. There is a built-in download manager option available in this app to download image, videos or any documents quickly. This user friendly browser, highly optimized for low mobile data consumption. 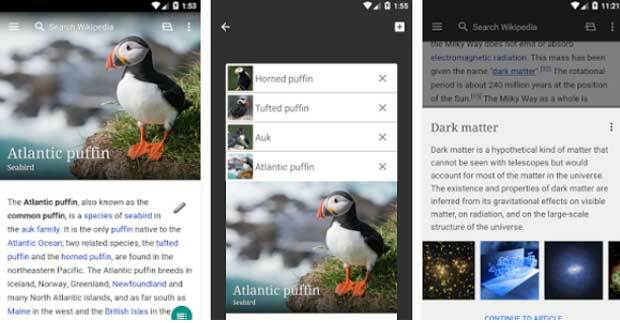 Official app for Android of Wikipedia is the free encyclopedia. There are more than 33 million articles available in more than 280 languages. This is one of the most popular and effective source to collect any information. 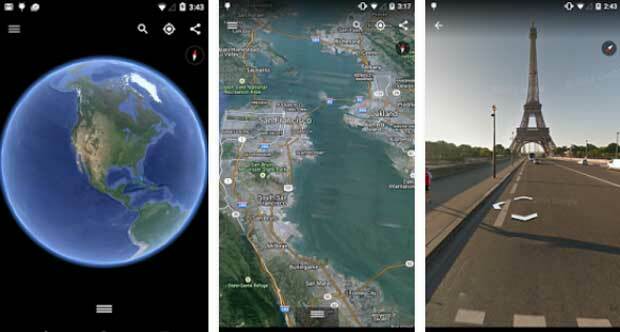 Explore the world with the Google Earth and visit your favorite cities with the built-in 3D views. The Google Street also integrated with the Google Earth to explore new places. 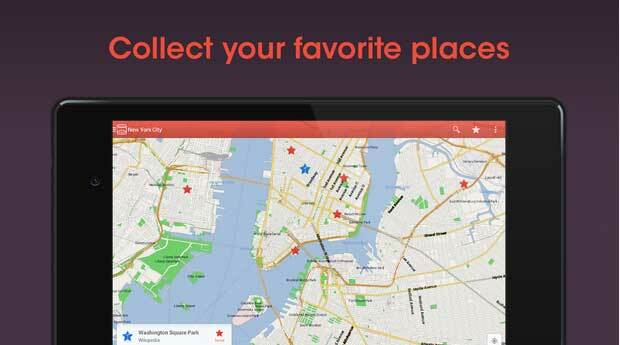 This is a common and best app for tourists to find their favorite places easily and quickly. The map gallery also helps to find places, flights, hotels and much more. The City Maps is the most popular and easy to use offline map for travelers to find their destination easily. The user friendly interface is make this app easy to find directions, place information and travel trips. More than 15 million travelers love this map and use to find their places. The built-in search option and with the help of your device GPS technology, you can easily find any place. 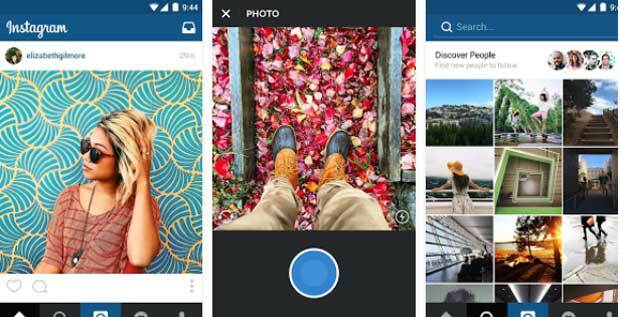 The Instagram is a popular social networking site to share awesome image, videos and stories. 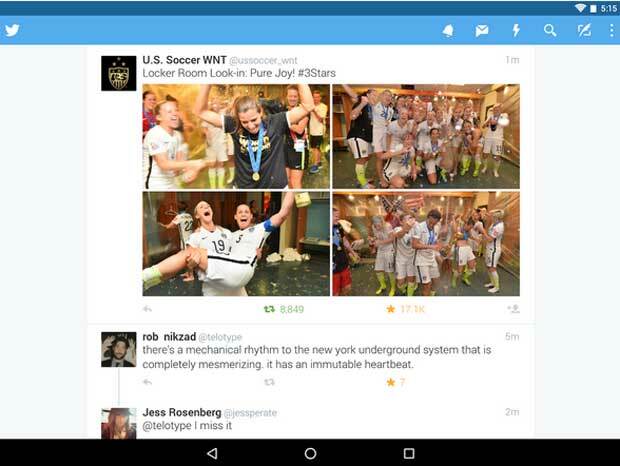 You can easily browse your Instagram account from your smartphone and tablet using their official Android app. The app comes with several features including image editing, basic video editing, share image/video to other social networking sites etc. 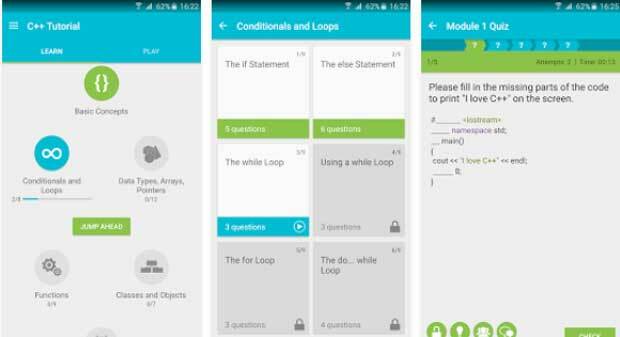 The Learn C++ is the best free Android app to learn programming from your Android device. This is a free programming course by SoloLearn that is designed for both advance and beginner level learners. The app comes with more than 80 lessons in basic to advanced programming knowledge. Khan Academy is the greatest app for students to learn their lessons easily. There are more than 10,000 video lessons available at your fingertips in math, science, economics, history, and much, much more. W3school is the best place for the people who want to learn HTML coding from basic to advance level. 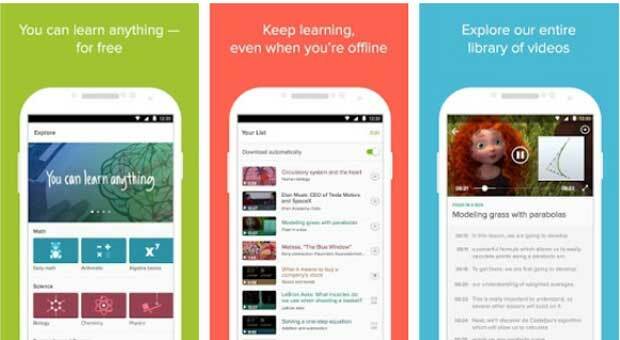 The app comes with offline learning features to learn without internet connection. 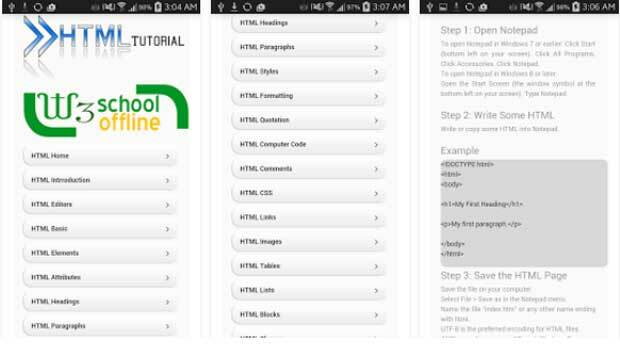 You can practice HTML codes using this free app. 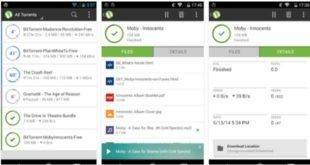 WPS office, IFTTT and clear focus these Android applications are also free and have great features! IFTTT allows you to automate things which make your work easier. Thank you for the post. This is really an amazing list. You have compiled almost all of the best apps of 2015 in this list. Hmmm, nice list although I am missing Google Hangouts. Lately I am using it more then Skype. What a collection of all the best android apps. I liked it very much.Great job. This is a great compilation! Awesome review! More people need to be aware of the many viruses that could potentially infect their mobile devices. Antivirus apps really help lower the risks and are worth the investment if you ask me. Nicely said! Thanks so much for posting this! Thanks Morgan for your valuable opinion. This is a great collection of free android apps that can help in making our life more easier and enjoyable. Many android phone users may not aware with these apps. And I am one of them. I will use these apps.